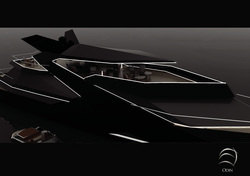 Sigmund Yacht Design is excited to announce a new partnership to produce luxury powerboats in the sub 15m sector. More information available early 2015. Fraser Yachts Magazine 2014 featuring Sigmund Yacht Design's R1 Tender can be downloaded and read from our press section. Read about Sigmund Yacht Design in the latest issue of Super Yacht Design-Monaco Yacht Show edition. Click on the image or visit our press section. 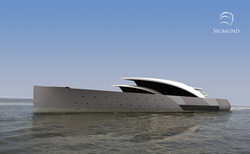 Sigmund Yacht Design to feature in the latest edition of Fraser yachts magazine. The R1 bamboo superyacht tender will be available to Fraser Yachts customers in their publication being launched at the Monaco Yacht Show 2013 in September. Lamboo inc and Sigmund have collaborated with Cockwells Ltd to create a new superyacht tender boasting sustainable credentials, fundamental elegance and elevated usability. For more please view press section to read the world press reviews. Lamboo inc of Springfield IL USA and Sigmund Yacht Design form a strategic alliance to promote laminated bamboo as a material for marine construction, interior design and private aviation interiors. 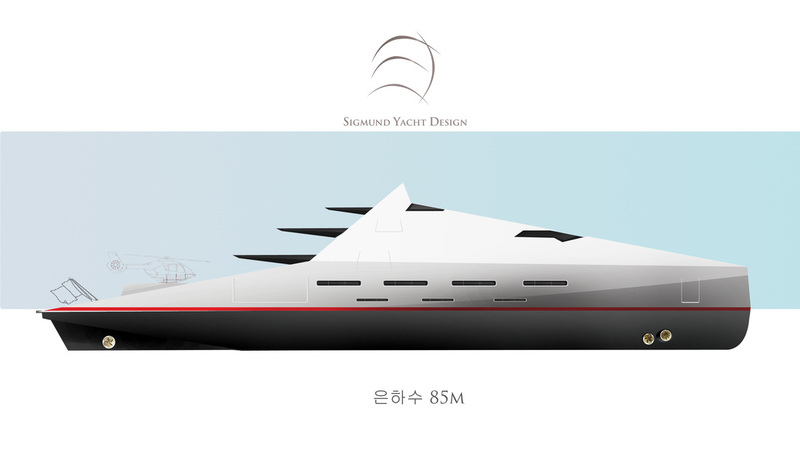 Sigmund Yacht Design is underway creating a 96m Superyacht in collaboration with leading shipyard. Expect more details in the coming weeks. Expect three new designs on display at the Monaco Yacht Show this year. Also Centurion 112 and Sigmund 98 models will be on display with leading brokers. Watch this space for more information on where we can be found at MYS 2011. 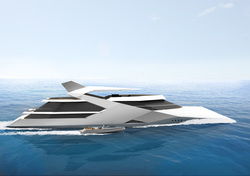 Sigmund Yacht Design presents Odin, a 50m displacement yacht with a difference. Boasting an innovative hull, vast interior space and the latest in low observable styling, Odin will be on offer to worldwide shipyards and private clients for 2011. Sigmund Yacht Design presents Vestar, a 60m sailing yacht of classical lines and proportions. 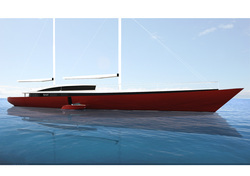 Designed using Sigmund design team's know how on large sailing yachts. Due to be displayed at various yacht industry events in 2011. For further information please contact the Sigmund studio.